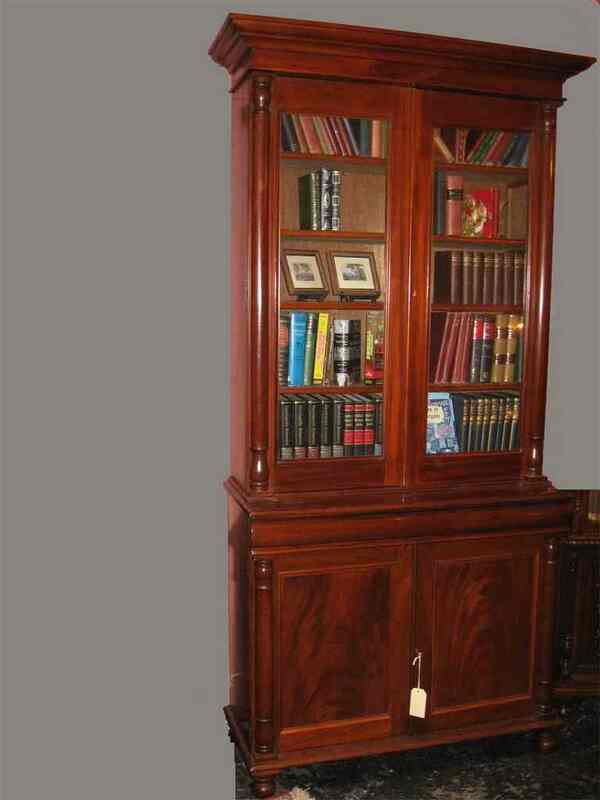 Australian colonial cedar two sectional bookcase circa 1860. Featuring tall impressive proportions. Two glazed doors above a matching base with full length drawer and panelled doors. Flanked by full length pillars to both top and lower section. Sympathetically restored.